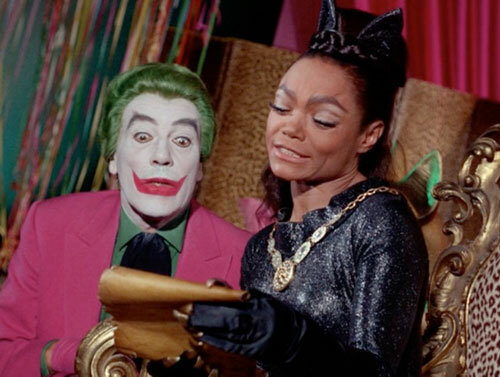 Stanley Ralph Ross's treatment, draft, and final scripts for The Funny Feline Felonies two-parter reveal a number of surprises: inconsistent concern for not doing the same gags twice, the death of the budding Batman-Batgirl romance, Ross errors that sometimes made it to the screen, a Ross gag that was, er, stubbed out like a cigar, and much more. The Batcave Podcast's John S. Drew joins us once again in the Bat Research Lab. Plus, Adam West's Batman and Robin and conversation with our listeners about Batman, camp, and Pop!